Despite improvements in recent decades, the Great Lakes remain a dumping ground for pollution ranging from livestock waste to mercury emissions, a U.S.-Canadian panel said Monday. 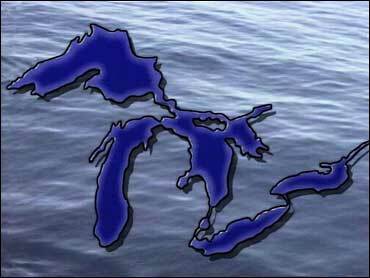 In its biennial report on Great Lakes water quality, the International Joint Commission urged the governments of both nations to step up protection and restoration efforts. "There are a large number of problems still to be dealt with," Herb Gray, the Canadian co-chairman of the commission, said in a conference call with reporters. The U.S. co-chairman, Dennis Schornack, agreed but added that "things have progressively gotten better." The commission issues biennial progress reports on implementation of the 1978 Great Lakes Water Quality Agreement, in which both nations agreed to reduce pollution and restore damaged areas. Gray and Schornack said the agreement, which has not been updated in 17 years, should be revised to include newer challenges such as invasions of more than 160 exotic species, including the zebra mussel. Many species are believed to have been delivered to the lakes by ballast water from oceangoing ships. The commission recommends that the United States and Canada set their own rules for dealing with ballast instead of waiting for international rules that are not expected to be implemented for at least five years. The panel also blamed urban sprawl for pollution including sewage overflows, storm water runoff and motor vehicle emissions. Another threat to the lakes comes from microbial pathogens that can cause gastrointestinal illnesses, the report said. Sources include leaky septic tanks and waste from livestock and pets. Mercury emissions from coal-fired power plants and other sources continue to pollute the lakes and accumulate in fish, the commission said. The panel urged both nations to improve their advisories about eating fish. The U.S. Environmental Protection Agency and its Canadian counterpart, Environment Canada, have formed a committee to consider updates to the agreement. The IJC will offer suggestions by the end of the year, Schornack said.